Cannibalism may be a major human taboo, but it's surprisingly common in the animal kingdom. After all, we're sure you've heard about female praying mantises or the famous black widow who eat their male counterparts after mating with them. But in the video uploaded by ojatro on YouTube, you'll see another snake eat another snake. 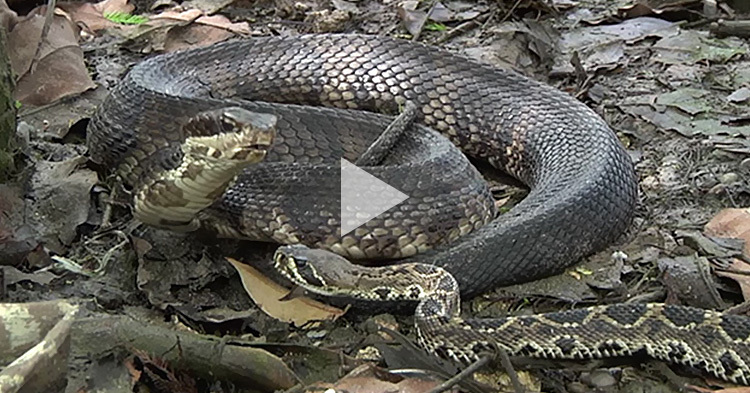 Uploaded by a YouTube channel called ojatro, the video shows a cottonmouth snake killing and then eating a rattlesnake. The before the fight scene. A cottonmouth is a venomous snake found in the southeastern United States. Its diet is described as "omnicarnivorous", wherein it eats mammals, birds, amphibians, fish, snakes, small turtles, small alligators, and sometimes even another snake. The rattlesnake is also a known predator but this time, it became prey. 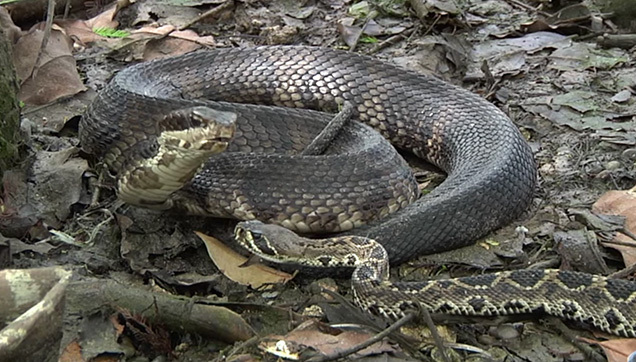 You can see the cottonmouth (the larger one) striking at the rattlesnakes head and then hold it in its mouth. The rattlesnake jerks and breaks free but it was already injured, hence, the cottonmouth eventually succeeds and eats it whole.